Doing a Curry Without Coconut is little complicated for me..:) My Mom Usually Prepare Prawn/Iwral Thokku, Curry, this is one of the Preparation from our side, occasionally mom do this.. simple difference is adding rice grains to this curry for the thickness..
A simple yet yummy Curry its, Best Accomplishment with hot steamed Rice, Roti’s, Idli, Dosa, Appam..:) this delicious curry Packed with fresh masala flavour..
* Roast the Fennel seeds, Cumin seeds, Coriander Seeds, Rice grains and curry leaves with a tsp of oil to Golden Brown in color, Finally add the Chillie powder and Roast it till the Raw Smell Goes. * Make the Mixture Cool and Grind them, Marinate the Prawn with salt, turmeric powder, and Chillie powder for half an hour..
* Heat the Kadai with Oil, Splutter the Mustard seeds, Saute the Onion For few mins, Add in the Ginger Garlic Paste cook it till the raw smell goes, Ad a handfull of Curry leaves. 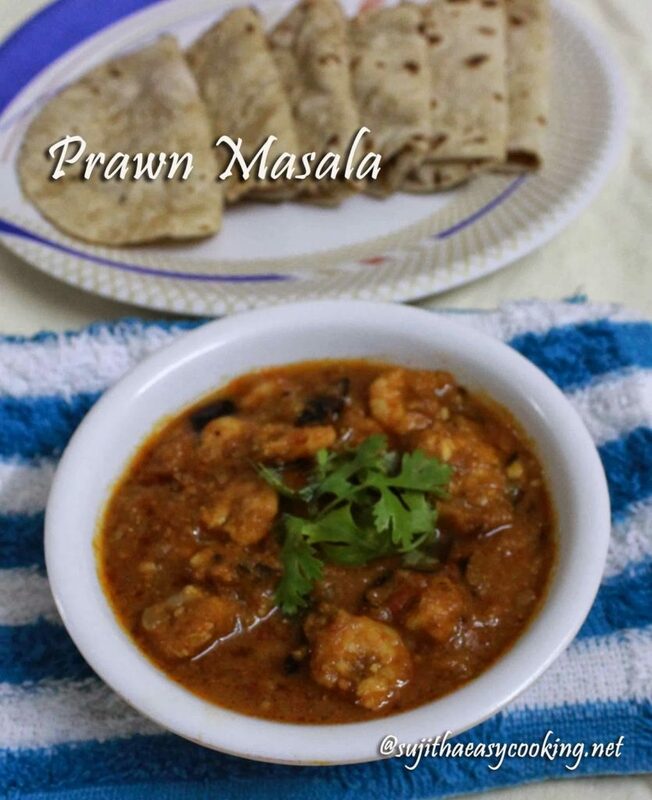 * Add in the Tomato Puree, Cook till the Oil Separates, add the marinated Prawns to the masala. 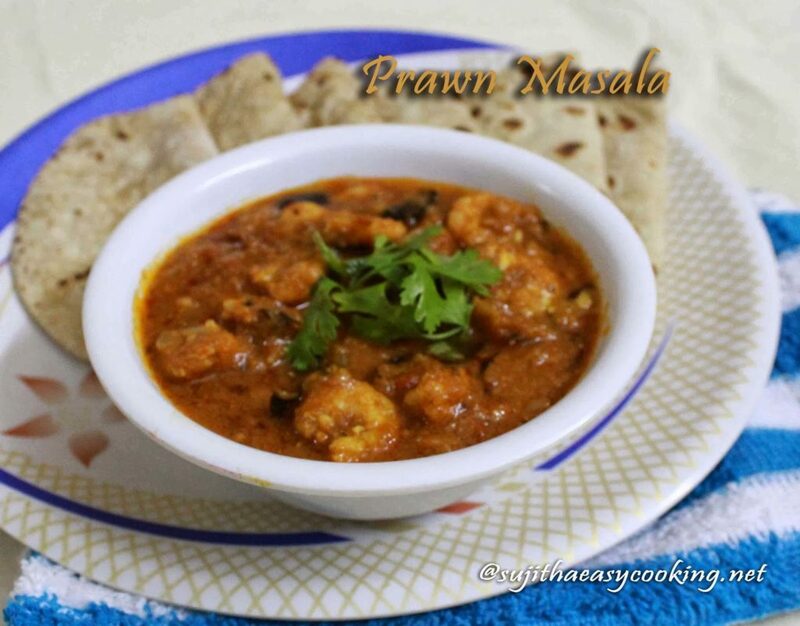 * Add the Grind-ed masala, Salt, and water to it Cook the masala till the prawns done, and the Oil separates to the Curry, almost it took 10 to 15 mins in medium flame to separates the oil. * Instead of REd chillie powder, you can use Dry red chillie to roast and grind..
* Adjust the Consistency by adding water in final stage to make a semi dry or gravy dish by adding water..
* Adjust the Spice Level, According to your taste..